Updated solutions built on top of a proven infrastructure means better equipment rental tracking and accountability. Rental360 is the cutting edge platform that comes from the architecture of Acumatica ERP, a modern platform that has already proved its worth to thousands of organizations. Basically, Rental360 gives you a centralized hub to manage all of your end-user features, synchronizing them in real time with all relevant associated back-office processes. Your new infrastructure ensures that you are able to optimize the investment on all of your equipment through precise scheduling and tracking. Rental360 synchronizes every piece of equipment you have with your business systems. You now have the ability to account for pricing, depreciation and ROI for each individual unit while maintaining fully synchronized records for companywide processes. With Rental360, you can achieve better customer service through more accurate record keeping, more immediate access to the customer database on the field and communication that targets the most important clients and prospects in your queue. Scheduling is now a breeze with more accurate record-keeping that is tied directly to specific items that are in your inventory. You can also automate sending notifications when certain actions are taken on each piece of equipment. The Acumatica Cloud Platform provides you with a hardware free solution that is fully managed by reputable experts. You will never have to carry the burden of server maintenance or deal with the everyday hassles of access and security. 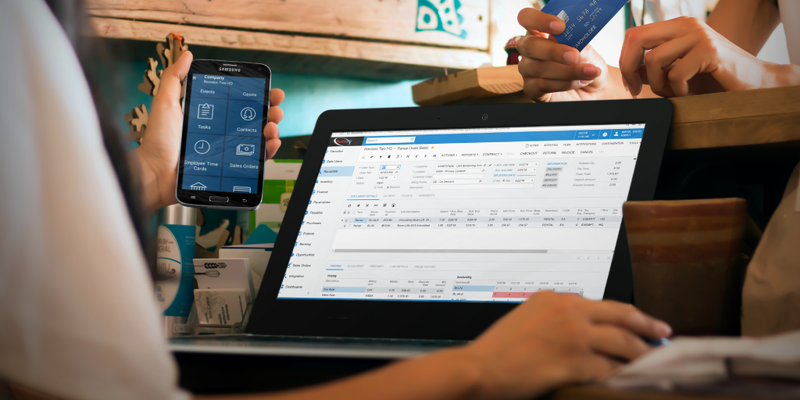 The fully integrated, efficient tools of the Acumatica ERP give you the strength and security to build the platform that you need for optimal customer service and company administration. Rental360 is the industry-specific solution that focuses squarely on the needs of the rental industry.